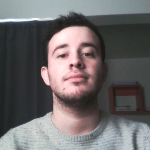 I am an experienced native French tutor and a medical student from Paris.I started teaching French at my university (La Sorbonne) helping foreign students adapt to the French lifestyle/language.I then became a teacher at a Private Language School here in Paris.My C2 level in English (and American accent ! ) has allowed me to better communicate with my students. -Basically anything related to learning French. The approach depends on your needs and your current level. I have worked with both BEGINNERS and ADVANCED learners. N'hesitez pas a me contactez ! The tricky part of French: La liaison.Why can't you understand Native French Speakers?